I am so excited to continue with the Grow Your Blog –Blog Hop hosted by Kristy at Runaway Bridal Planner. I have been Blog Hopping since October 26th and have visited so many awesome blogs. It has been a really great experience and would recommend everyone to participate in a blog hop if you get the chance. By the end of 2nd round on Friday, I would have connected with 77 other bloggers. Today (Wednesday November 18th) is spotlight day #2 (since I participated in round 1 and round 2). For those of you visiting through the blog hop WELCOME!!!! 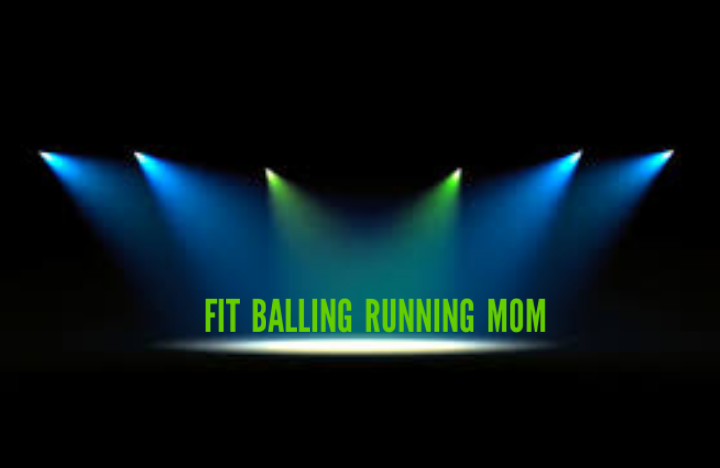 For a 1st look at Who is Fit Balling Running Mom feel free to check out my first spotlight post HERE. There I go into greater detail as to where the name Fit Balling Running Mom came from. I have been thinking about what to do for spotlight #2 since last week and thought I would elaborate on Who is Fit Balling Running Mom with a few more getting to know me facts. -I ran my first Ragnar race this past October. It was awesome! Thanks for reading another longer than usual post-I really appreciate you hanging around to find out some more about me. Is there anything else that you would like to know about me? What did you learn today that you didn’t know about me? Was there anything that surprised you? Awwww thanks! Thanks for stopping by! Wow you are a superwoman! I get tired from throwing a football after like five minutes! It’s awesome you play! Do you follow NFL as well? I just started recently because my boyfriend is so into football. Took me awhile to comprehend the sport and be able to follow along, sometimes I still get confused! Now that I read this, your blog name makes perfect sense! I loved learning tidbits about your and your family. And, I agree, the blog hop is a great way to connect with new folks! Ha…I am glad it makes sense now :). It never really occurred to me that it wouldn’t makes sense to other people-ha! You are one tough mama! I live the story of how you chose your daughter’s name, definitely unique. Look at your local Y to see if they have swimming classes so you can conquer that tri! Thanks-I signed up for a beginners class at the local rec over the winter…we will see how it goes! Wow, you stay busy and active! Congrats on your weight loss and keeping your motivation to keep moving desite injury. It’s so funny it wasn’t until I was writing posts 1 and 2 that I realized how active and impressive plating football would be to people. Ha! I love this post! I learned so much about you. It’s awesome you play football – I’d be way too scared to do that! Thanks-I am glad I was able to share and that you found it interesting. Thanks for stopping by-I really appreciate it! That is so cool that you met your husband on the football field! For that matter, it is so cool that you play football. Amazing! Football! That is so cool! I know women who play hockey, soccer, basketball….You are the first that I have connected with to play football. So cool! Thanks!! It is really fun. So great to learn more about you! I love that you and your husband flipped a coin for your daughter’s name. That would totally be my husband and I. We flip coins to settle a lot of things. I’d love to do a duathlon and triathlon one day. I gotta get more comfy on my bike. I love swimming, but I’m scared to swim in the open water. There’s a few sprint tri’s around here that offer an indoor swim. Ha! I make sure to keep coins in my purse…you never know when a decision will have to be made-llol!! I don’t have a bike nor do I know how to swim…lol!! Maybe I am being a bit ambitious….hmmmm. I did sign up for a swim class this winter..that’s a step-right? Hello from the blog hop! Great to learn all about you (and your blog name!). I went back and read your post from the first blog hop, too. First of all – 149 posts in 9 months??? That’s prolific! I’m coming up on nearly 2 years, but only 100 posts. Impressive. Also, I moved to my own URL earlier this year, and it’s TOTALLY worth it! So much more flexibility with plug-ins, and easier to share the link! 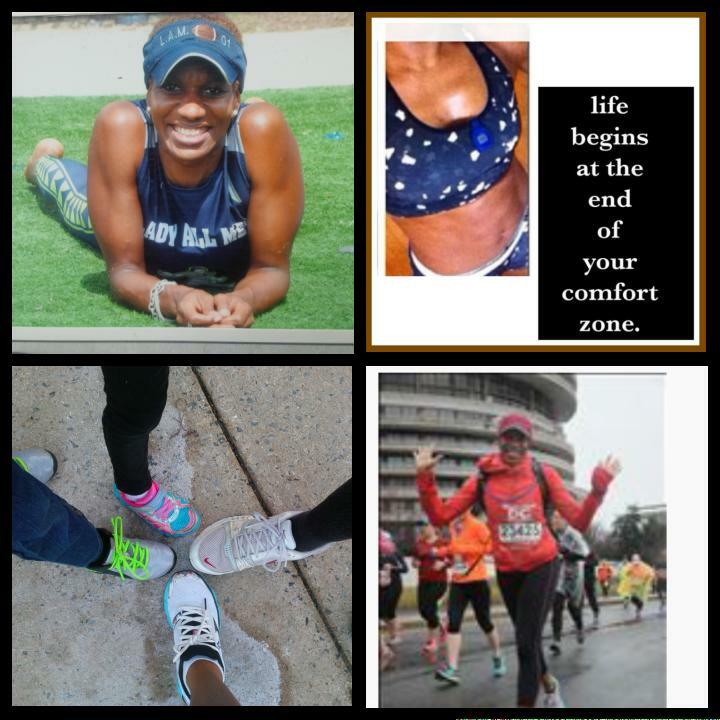 Congrats on your amazing fitness journey! I really enjoy blogging-I guess I have a lot to say at times-lol!! Yeah-I think I am sold on my own url. The hop has been so much fun!!! So great to meet you via the blog hop. I too ran my first half marathon in 2014, and after years and years of convincing myself that I could never be a runner, completing that first half marathon got me hooked. 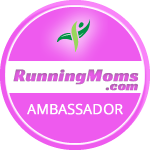 Now, I can’t imagine my life without running being a part of it! Isn’t it amazing! I went from casually running 5ks here and there to training for a half marathon…best decision ever!!! I want to play too! I had a blast some years ago playing both soccer and softball and just love playing team sports. That is so cool that you play football. You are the only person I actually “know” that plays!! Looks like you have come so far with all your athletic accomplishments. Good for you!! Great getting to know more about you. Such a fun Blog Hop! Although I ran track I always considered it a solo sport. Playing football has been my 1st real team sport experience. It has its ups and downs but overall it is great! the blog hop has been so much fun-hasn’t it!! I’m like the others, I think it’s very cool you play football! You are such a strong woman and setting an great example for your little ones! You don’t know how to swim or you don’t know how to swim correctly? See my mom can’t swim a lick! Her mother, who was also afraid of water told her she couldn’t get in the water until she learned how to swim…. ummm yea so mom never learned. True story! I know how not to drown…..lol!!! I can fake stroke across a pool but don’t know how to breath under water and all that good swimming stuff. I did sign up for swim lessons this winter. I love following your story…always so inspiring and I am amazed at all you do! I hope to run a Ragnar someday soon too! Ragnar…so much fun!! totally worth it! Fun to connect with you through Grow Your Blog! So awesome that you play football. I’m also addicted to the half marathon distance. Excited to get back to running halfs when I’m recovered from plantar fasciitis. I have to limit my halfs due to arthritis in my knee but I will probably do at least 2 a year. oh no…so sorry to hear that. Happy healing! I still think it is super cool you are into playing Football, I loved learning that a few weeks ago. I did not know you and the hubby get on teams together, AWESOME! What a fun way to spend time together! Ragnar races are awesome, which Ragnar did you do? I love that you have such great children. You know, sadly in the world now you just don’t see parents who take care of their kids well and teach them manners and how to be polite to others. Thanks..it is super fun for sure. My hubby and I haven’t played together in a while but when we do, we love it. Him being our coach is a bit tricky for the wife/player but so far it hasn’t been too bad. I can not stand rude children!!! I know it is not their fault….they are a product of their environment but I will in a heart beat reprimand a rude child or a child not making a good choice. They usually respond pretty well too. In my neighborhood there are these ‘fast’ girls who are always so loud and disrespectful and un-lady like. I have talked to them about their behavior and how they are representing them selves. At first they were like whatever but I kept on them and when ever they see me now, they straighten right up! You may not have an adult at home to teach you right but when I see you …you gonna act right!!! Tamieka this was fun to read and learn more about you! What an awesome bunch of accomplishments to be proud of! I love that you met your husband through football and share a passion for it. Girl, you can SO do a tri. I was a non-swimmer (I needed to be rescued and never tried to swim again) until I learned earlier this year and went on to do 4 tris. I still have a long way to go but a finish is a finish! Definitely give it a shot! Thanks! We do share the passion for football…it does get a bit tricky being wife and player but still fun! I signed up for swimming lessons this winter…its on!!! I am thinking about a late Fall/Early Winter Tri….plenty of time to figure it out. Very cool to get to meet you through the blog hop! Congrats on the weight loss! I think it is so cool that you play football, and your kids are adorable. You too! !This has been so much fun!! Football is so much fun! Wow! You’ve had some pretty amazing accomplishments, with many more to come! It’s awesome that you play football…I played flag years ago and was a corner as well, so I think that is especially awesome. Keep doing what you do! Aww thanks for the compliment ;). I love playing defense. Our defense is pretty tight too. Last season we had only 1 touchdown scored against us in regular season and 1 in championship. So fun getting to know you. I am laughing at how you decided your daughter’s name–but I bet it suits her perfectly!! And you look AM-HAZING!!! And you are doing incredible at reaching and surpassing your goals. Truly an inspiration. Haha!! It really was funny! We didn’t know if we were having a boy or a girl so we had names picked out but I was more attached to one..got my wish though -lol! I feel like we could be buddies – minus the contact football, because I am way to uncoordinated to play, though I did teach PE for a year and taught 8th graders how to throw a tight spiral ;). Both of my kids were magical gifts on the first try. My son’s name was the only one we could agree on, and my daughter’s middle name was only barely decided on when we went to the hospital. It’s nice meeting you, and I’ll definitely be back to read more. Ha! how cool is that to have so much in common! Ps. I was always thinking about doing duathlons too but I took swimming classes this past summer and I’m looking forward to getting better so I can do a triathlon at some point. Cool!! I am thinking a late summer/early Fall duatholon. I just signed up for swim classes for the winter. I am thinking a late fall/early winter Tri…we will see. I have been looking forward to reading your spotlight post since the first time you popped up in my feed. I love your story. If there’s one person I want to keep in contact with after the hop, it’s you (don’t tell anyone else) 😀 just kidding. I’ve loved meeting all the bloggers and reading their stories. I’ve never been so inspired! I am impressed you did a race 4 months after ACL surgery. That’s the kind of stuff that just makes me want to get up and go do something amazing too. Kudos to you! Your family is beautiful. Your story is inspiring. I’m going to check out your first spotlight post now. I know today is a lot of traffic for you but I look forward to staying in touch with you. Awww you are too sweet!!! I am a pretty competitive/self motivating person and my Dr and PT supported my goal of running so that was all I needed to get it done :). It was the annual Turkey trot that I had done for so many years and I didn’t want to miss it. If you are in the city Thanksgiving weekend-I would love to meet up for a run and coffee :)-I will be visiting my dad in Brooklyn. Thanks for stopping by I really appreciate it ! sounds good! I am trying to do better to visit my dad so if not this month maybe sometime during the winter. Okay great. I like that! On both fronts. I don’t get to see my parents often so I encourage people to visit their folks whenever they can. For sure!! It is amazing to watch them get older and it all becomes so real that any day they can be gone. The kids love visiting him too so that is a plus and also a great motivator for me to make the drive. I love the nickname Tackles! I participated in both rounds of the hop too. It’s kept me very busy and we certainly have met a lot of diverse people. That is what makes it fun. After cycling for a while, I might consider a duathlon but would definitely need help with my swimming before deciding on a triathlon. 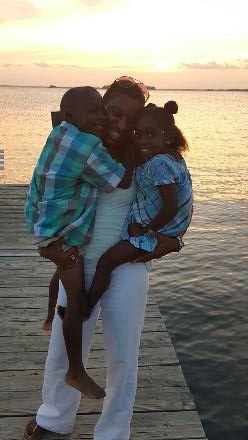 Your kids are precious and I know you enjoy every moment with them! Haha!! I have started to tackle less in my maturing age but will do it if I have to-lol!! I haven’t gotten on a bike in ages but am thinking maybe a late summer duatholon and a late fall/early winter tri…we will see. I just signed up for swim classes. Thanks-they really are my everything! Wow, impressive list of accomplishments there!! Have been hearing more about the Ragnar races lately, they sound awesome! Do you have recap of that one? Ragnar is a great experience -I would totally recommend it to anyone. I do have 3 posts of recaps from it. You can look under categories on my site and click on race recaps and they will come up. Thanks-they bring me such joy! what a beautiful post! Love hearing more about you, your name and how you got started. 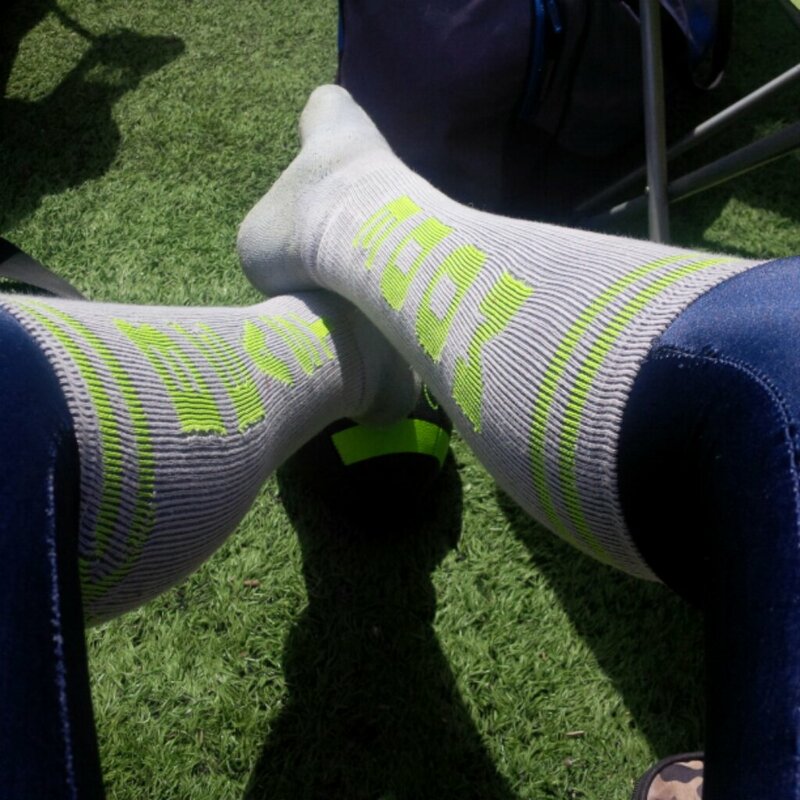 So jealous of your athletics!! I cannot imagine playing contact football but what an amazing thing to do! Football is fun…helps me to get some extra energy and feelings out. Shh…we will keep it a secret-lol! It is so nice to meet you! I think we live pretty close as I am in HOCO! Did you run the DC Ragnar? Lots of my girlfriends did too! this is a nice thing to read. You reached so much in your life. Thanks 🙂 thanks for stopping by -I really appreciate it!